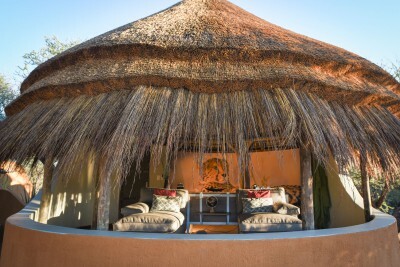 Conveniently half way between Windhoek and Etosha lies the 22,000 hectare Okonjima Private Game Reserve. Okonjima and the AfriCat Foundation work together to conserve Namibia’s large carnivores through a rehabilitation programme, mostly focusing on leopard and cheetah. Various pressures on the big cat population include persecution by farmers, the pet trade and capture of wild cats for tourist entertainment which are subsequently unwanted when they become troublesome or expensive. The AfriCat Foundation assists in relocating and rehabilitating these carnivores and has been able to release over 85% back to the wild – a great achievement. AfriCat understands the importance of research, habitat conservation and education and works closely with farmers and local populations to increase understanding and reduce human-animal conflict. The accommodation options at Okonjima, from camp sites to luxury villas, provide the opportunity for visitors to witness the work of the AfriCat Foundation, to enjoy game drives in Okonjima’s Private Reserve with fantastic photographic opportunities of the cats, other predators such as African wild dog and hyena and general game.